The biggest mass extinction in Earth’s history wiped out 90 per cent of lifeforms because they couldn’t breathe, scientists have revealed. Global warming left animals gasping 252 million years ago and humans face the same within the next three centuries, according to new research. Dubbed ‘the Great Dying’, plants and animals were obliterated after a series of massive volcanic eruptions in Siberia – long before the age of the dinosaurs. As temperatures rose and the metabolism of marine animals sped up, the warmer waters could not hold enough oxygen for them to survive. The discovery sheds fresh light on how so many species were killed off by a single event – and has implications for today. The finding published in Science is based on combining models of ocean conditions and animal metabolism with published lab data and paleoceanographic records. Warming leading to insufficient oxygen explains more than half of the marine diversity losses. Other changes, such as acidification or shifts in the productivity of photosynthetic organisms, likely acted as additional causes. 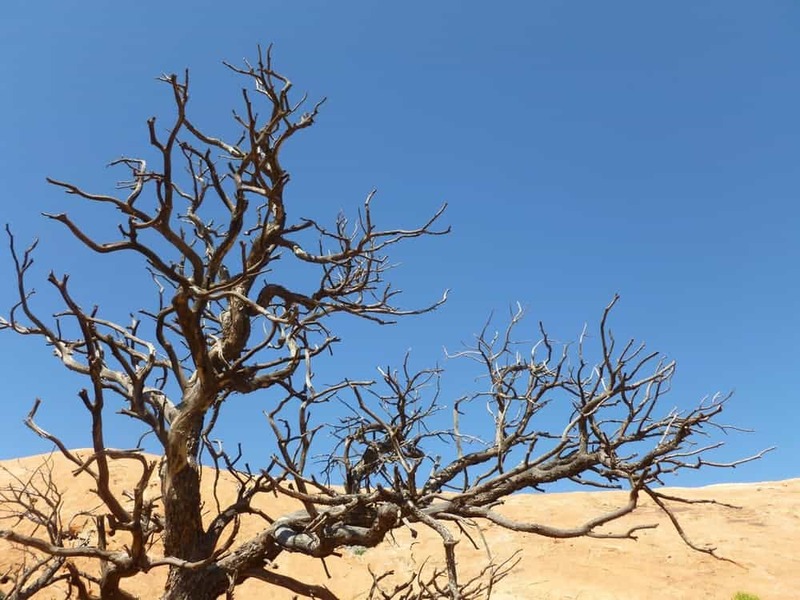 The situation in the late Permian – increasing greenhouse gases in the atmosphere that create warmer temperatures on Earth – is similar to today. Mr Penn said: “Under a business-as-usual emissions scenarios, by 2100 warming in the upper ocean will have approached 20 percent of warming in the late Permian, and by the year 2300 it will reach between 35 and 50 percent. Also known as ‘The Permian Extinction’, it was triggered by lava spewing from mountains for almost a million years. But it was a mystery how it was responsible for such devastation since previous volcanic activity of this scale had not caused anywhere near as much destruction. Fossils in ancient seafloor rocks display a thriving and diverse marine ecosystem, then a swathe of corpses. Some 96 percent of marine species were wiped out followed by millions of years when life had to multiply and diversify once more. What has been debated is exactly what made the oceans so inhospitable – the high acidity of the water, metal and sulphide poisoning, a complete lack of oxygen or simply higher temperatures. The researchers ran a climate model with Earth’s configuration during the Permian – a time when the land mass was made of one one supercontinent Pangaea. This showed the volcanic reactions created a greenhouse-gas planet. Before this, the oceans had temperatures and oxygen levels similar to today’s. They then raised greenhouse gases in the simulation to the level required to make tropical sea temperatures at the surface some 10 degrees Celsius (20 degrees Fahrenheit) higher – matching conditions at the time. This reproduced the resulting dramatic changes. The oceans lost about 80 percent of their oxygen. About half the oceans’ seafloor, mostly at deeper depths, became completely oxygen-free. To analyse the effects, the researchers considered the varying oxygen and temperature sensitivities of 61 modern marine species – including crustaceans, fish, shellfish, corals and sharks – using published lab measurements. The tolerance of these creatures to high temperature and low oxygen is expected to be similar to Permian animals because they had evolved under similar environmental conditions. The researchers next combined the species’ traits with the paleoclimate simulations to predict the geography of the extinction. The model shows the hardest hit were organisms found far from the tropics – because they are most sensitive to oxygen. Many species in the tropics also went extinct in the simulation – but high-latitude species, especially those with large oxygen demands, were nearly completely wiped out. This was backed up when co-authors Jonathan Payne and Erik Sperling at the University of Stanford, California, analysed late-Permian fossil distributions from the Paleoceanography Database. The virtual archive of published fossil collections shows where species were before the extinction – and which were wiped out completely or restricted to a fraction of their former habitat. The fossil record confirms species far from the equator suffered most during the event. Mr Penn said: “The signature of that kill mechanism, climate warming and oxygen loss, is this geographic pattern that’s predicted by the model and then discovered in the fossils. The study builds on previous work led by Prof Deutsch showing as oceans warm, marine animals’ metabolism speeds up. This means they require more oxygen, while warmer water holds less. That earlier study shows how warmer oceans push animals away from the tropics. The most severe effects of oxygen deprivation are for species living near the poles.